Yellow straw color. Citrusy aromas and flavors of exotic limes, meyer lemons, and lemon meringue pie with a satiny, vibrant, fruity light-to-medium body and an effortless, crisp finish with fine, fruit tannins and no oak flavor. A juicy, crowd-pleasing, summery white that will pair with a variety of foods. Bottom Line: A juicy, crowd-pleasing, summery white that will pair with a variety of foods. Traminette is an hybrid grape, a cross between a French-American hybrid Joannes Seyve and Gewurztraminer. 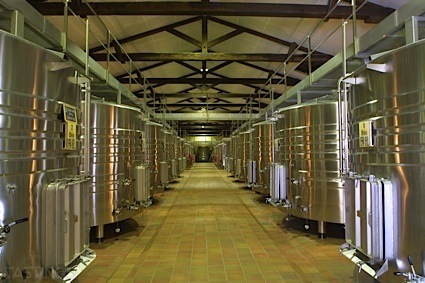 The wine is produced in several states including Illinois, Virginia, Michigan and Maryland. The wines are medium-bodied with fragrant aromas of jasmine, orange blossom and lychee; they are made both dry or with a light touch of sweetness and are meant to be consumed young and fresh. There are also a few sparkling versions produced. Pair with scallops, Thai food or Asian cuisine. 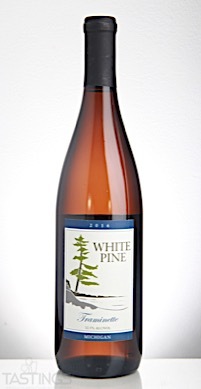 White Pine 2016 Traminette, Michigan rating was calculated by tastings.com to be 85 points out of 100 on 12/13/2017. Please note that MSRP may have changed since the date of our review.